China Focus | Why Do China and Russia Value Far East Cooperation So Much? Why Do China and Russia Value Far East Cooperation So Much? The Eastern Economic Forum, initiated by Russian President Vladimir Putin in 2015, is an essential measure for Russia in its efforts to promote its Far East Cooperation and an important international cooperation platform in the Far East. 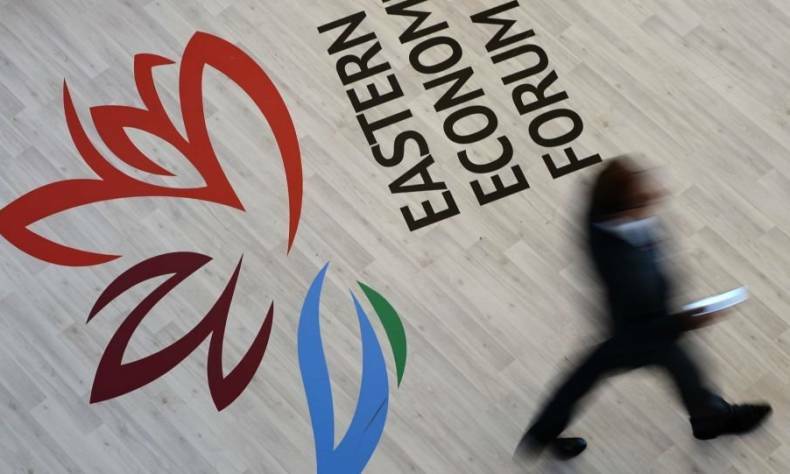 The Fourth Eastern Economic Forum will be held in the city of Vladivostok, Russia on Sept. 11-12. 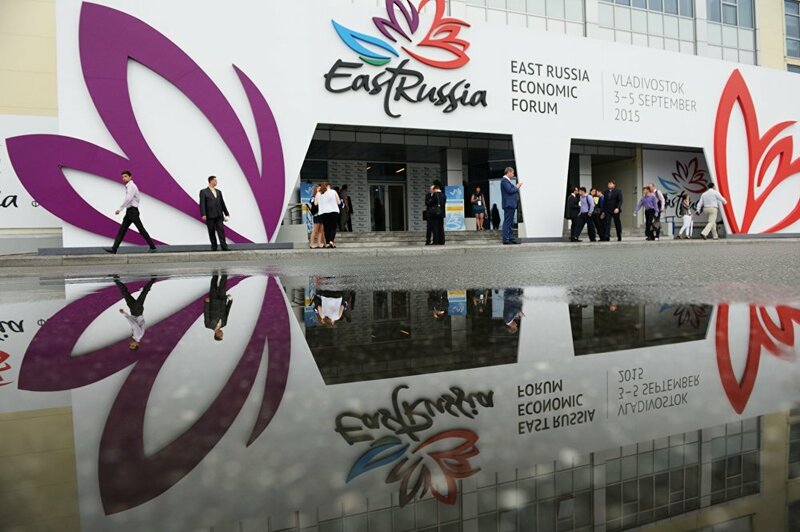 The Eastern Economic Forum, initiated by Russian President Vladimir Putin in 2015, is an essential measure for Russia in its efforts to promote its Far East Cooperation and an important international cooperation platform in the Far East. The theme of the Fourth Eastern Economic Forum is “The Russian Far East: Expanding the Range of Possibilities”. Chinese Foreign Ministry spokesperson Lu Kang said Friday that Chinese President Xi Jinping will attend the Forum, which will mark the first time Chinese President has attended the Eastern Economic Forum, the third meeting of Xi and Putin this year and the most significant bilateral exchange between the two leaders. The forum will witness negotiations and discussions regarding the challenges currently faced by the world economy, regional integration, technological development across various industries as well as global cooperation and development. It is predicted that during the forum, Russia will further promote investment projects and preferential measures to reach various cooperation agreements. Vladivostok Free port has become the driving force behind Russia’s development of its Far East economy. Russian President Putin issued a decree in October 2015 to build Vladivostok and its surrounding 16 municipal boroughs into a Free port, with a term of validity of 70 years. The core of the free port policy lies in favorable tax rules and more convenient customs procedures to enhance free exchange among people. Vladivostok has attracted the arrival of a huge numbers of companies from neighboring countries, including China, Japan and South Korea, outlining the influence and appeal of the free port policy. Russia has declared its intention to support the construction of Sovetskaya Gavan as the second largest free port in the Far East. The Russian government vigorously supports economic development in the Far East. In recent years, the Russian government has taken on even greater efforts to develop the Far East, introducing many policies designed to attract investment. First, the government is offering more subsidies to attract the local people. President Putin’s “One Hectare in the Far East” initiative of 2015 includes the allocation of 30 billion rubles annually to support social development and increase local benefits. Additionally, the government has issued more supporting policies to attract high quality enterprises. In terms of fiscal and tax support, the Russian government has pledged that by the year 2025, they will introduce $12 billion worth of investment projects for the Far East, and provide $520 million of subsidies for 13 key projects of the Far East whose investment totals $5 billion. In terms of financial support, the Far East Development Fund has promised to provide a low interest rate at 5 percent and a seven-year long-term financing plan. Third, the government is attracting foreign investment to bring new impetus for local economic development. With its vast territory and abundant products and resources, the Far East has attracted widespread investment from China, Japan and South Korea. Apart from preferential policies that apply to foreign investment in the free port, the government will further improve the operation and business environment and provide convenient entry facilities for foreign companies and personnel. China has a solid industrial foundation in its processing and manufacturing industries, while Russia’s Far East is endowed with resource strength. Therefore, regional economic and trade cooperation between the two countries is strongly complementary. China’s sound large-scale industry has reduced costs relating to production, processing and manufacturing, forming an industrial agglomeration advantage. The rich resources in Russia’s Far East make its cost strength in industrial and agricultural raw material products more prominent. Russian raw materials, resources and energy products are often processed in China and then transported back to the Far East to form a circular cooperation mode of “resource inflow – processing and manufacturing – product output”. China’s domestic market has reached maturity and is still growing, and has become an important importer of goods and industries with Russian characteristics. Having reached middle-income country status many years ago, China’s per capita GDP reached $8,000 (US) in 2017. With a continuously maturing and growing domestic market, China’s final consumer spending has contributed about 80% of economic growth for a long period of time. With China’s increasing per capita income and a mature domestic consumer market, Russian special goods and industries find themselves in a crucial development opportunity period. Meanwhile, the number of Chinese outbound tourists has gradually increased in recent years, and an increasing number of Chinese citizens enter Russia through Northeastern ports. A comfortable natural ecological environment and distinctive Russian-style cities have become a first choice experience for Chinese citizens as they travel and consume abroad. China’s northeastern ports are opening wider, facilitating exchange with Russia’s Far East. Convenience is a key point in enhancing economic and trade activities. In recent years, the Chinese government’s work report has required further implementation of measures designed to revitalize the old industrial bases in Northeast China and support the further development of the manufacturing industry in the Northeast. The prosperity of the ports deepens Sino-Russia economic and trade cooperation and provides significant support for the development of the Russian Far East economy. How to Promote the Northeast—Far East Economic and Trade Cooperation? We should further deepen bilateral economic and trade cooperation and seek the construction of bilateral economic and trade cooperation zones. While increasing the export of raw materials such as energy resources, Russia should further develop the local processing and manufacturing industry to serve the development of the real economy. China’s port economy should rid itself of the original “channel economy” (Editor’s note: a “channel economy” is a close economic relationship between provinces, urban and rural areas, and various industries based on the connection of the geographical environment), agglomerate agricultural and forestry and fisheries processing, as well as energy and resources rough machining. Such measures will allow the area to transform itself from a logistics distribution center into an industrial gathering center. China and Russia can discuss the construction of bilateral economic and trade cooperation zones in border areas so as to attract enterprises from both countries to settle in, promote technical exchanges and jointly develop cross-border economic and trade cooperation. China and Russia should enhance the coordinated development of bilateral trade facilitation and jointly promote economic opening-up along the border. Trade facilitation needs to be further increased to improve the efficiency of customs clearance, security checks and quarantines at both ports, in order to put an end to the situation that two-way flow is blocked due to impediments put forward by one party. Russia needs to further improve its operation and business environment, improve coordination and transparency of policies and give investors stable development expectations. China should further improve the standardization of enterprises in border areas, improve corporate governance and promote the steady development of the border trade and economy. China and Russia should work hard to tackle the issue of early investors’ property rights and put the development and opening of the Far East economy on a legal and standardized track.